In a recent conversation with Exclaim! about his excellent new stand-up record, God Is a Twelve-Year-Old-Boy with Asperger's, comedian/actor Eugene Mirman discussed the future of the hit HBO show Flight of the Conchords. Mirman appears on the show as Eugene the landlord, and Bret and Jermaine invited him to open their recent North American tour. So obviously Mirman has some insight about the show and revealed its future is looking mighty bleak. Exclaim! : Will there be another season of Flight of the Conchords? Eugene Mirman: I don't know but my guess is probably not. EM: Yeah, if I had to guess, which is the only way I could decide. I think HBO would want to, but I feel like Bret and Jermaine live abroad and I don't know if they want to do it as much. You could ask them. Actually, you probably can't because I don't think they like doing interviews. So, yes, the answer is probably not but maybe. Exclaim! : Okay, "probably not but maybe." That's fine. EM: Not only is it fine, it's accurate. Exclaim! : It's also a little vague. EM: Well, I would say "no" but because I can't categorically say no I have to say "but maybe." EM: Exactly, but the answer really is no. Exclaim! : All right, thank you for going on the record and saying "no." EM: No. But, you never know. Exclaim! : Is it fair to say that the show has changed your life a little bit? EM: Okay, wait, yes, it's fair to say it's changed it a little bit. Yeah, people certainly know me from it, so, okay, yes. I like that I had to think about it and you changed my mind. Yeah, that show has changed my life a little bit. Exclaim! : Well, it's too bad that it's probably, maybe not gonna be back. EM: Yeah. It would be great for me if it was. Well, there you have it, maybe. 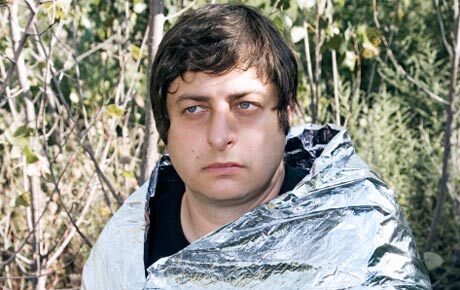 Stayed tuned for our entire interview with Eugene Mirman on Exclaim.ca.